Photos depicting scenes anywhere north of MP50 to just south of MP60. NOTE: Most of these photos were uploaded at full resolution. To see maximum detail, do a mouseover of the photo, and when the menu choices appear along the right hand side, choose "ORIGINAL". 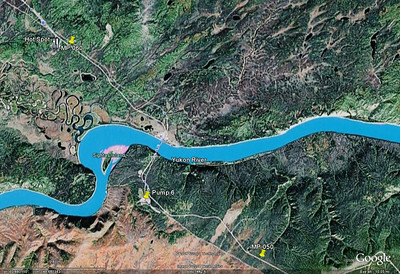 Google Earth does a nice job of compressing the distance from the end of pavement at Mile 49.5 to the Yukon River, and beyond that, to the Hot Spot eatery. 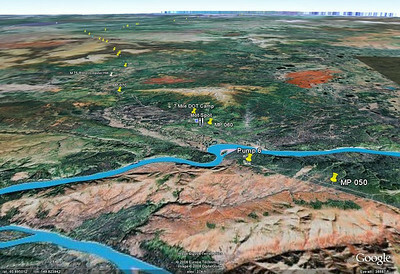 And here, Google Earth makes it appear Atigun Pass is just a few miles up the road. 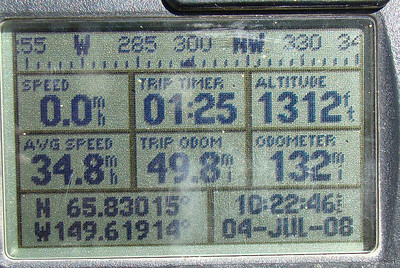 But the truth is that there are many miles - uncertain miles - before reaching Coldfoot, and many more beyond that to Atigun. 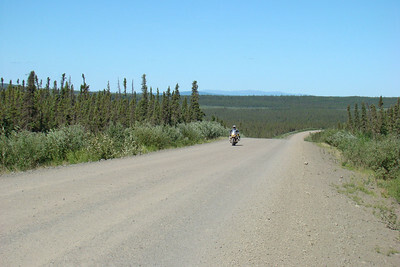 7/4/08 11:21 AM - Two riders (only one visible in this photo) heading south, presumably after having conquered the Haul Rd all the way to Deadhorse. 7/4-08 The same two riders from the previous photo, undoubtedly happy to see the pavement. 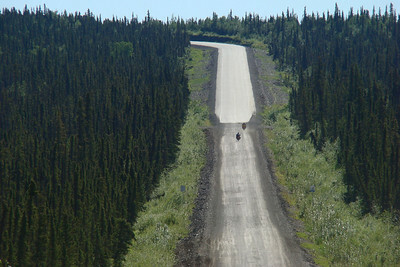 A sight that brings joy to the motorcyclist's heart - PAVEMENT! 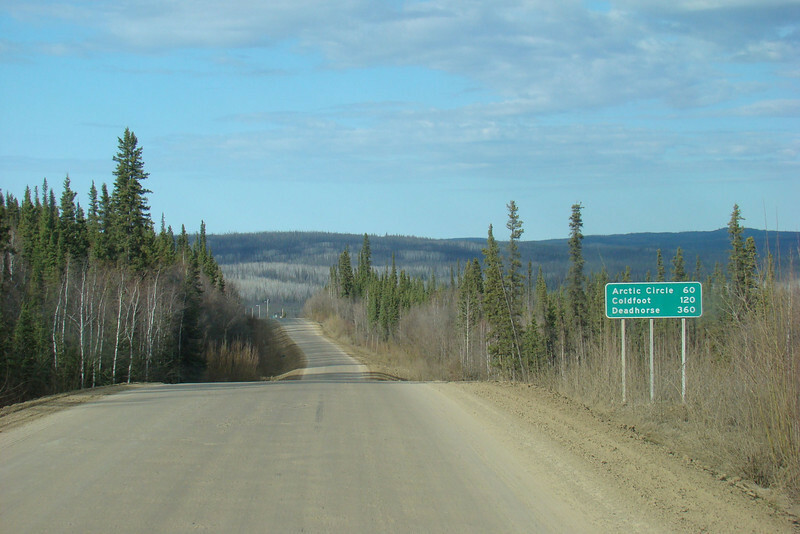 Southbound, it begins at Mile 49.2 (actually 49.5 miles from Mile 0) and extends for 12 beautiful miles before gravel again. 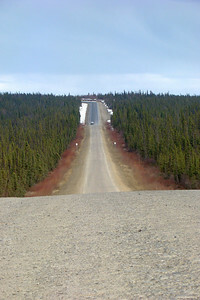 Around Mile 55, with the lightposts on the Yukon River bridge visible just over the last hump in the road.